During our short trip to Seattle last year I got the chance to meet some of the locals who were quirky and vibrant. It was nice to see how the people of Seattle shared the same love and passion for their food, coffee and art as we do here in Melbourne. Seattle had a real tech vibe to it, which isn’t surprising considering the likes of Amazon and Pinterest have their Head Offices there. In fact, the Amazon was building a world-class indoor garden sanctuary which included some of the world’s most incredible plant species by the time I was there – it was something out of this world. 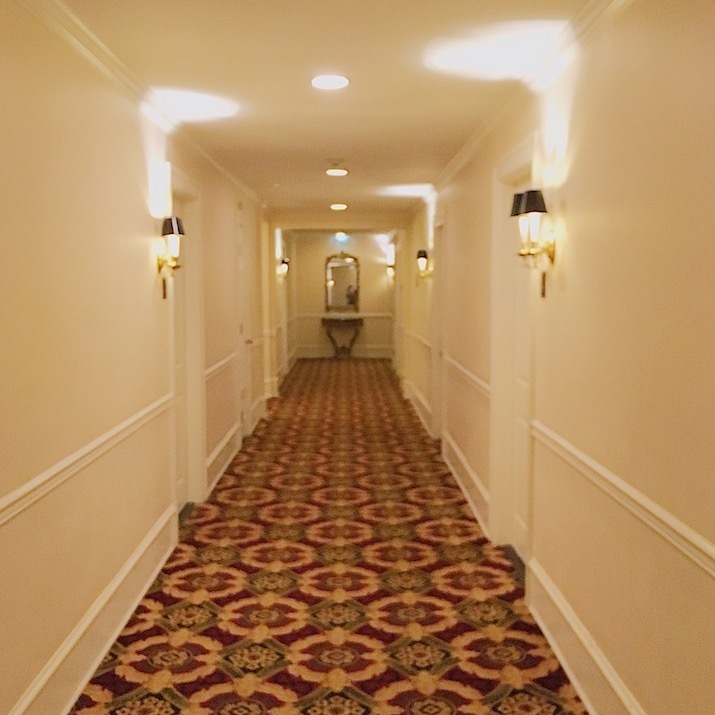 We stayed at the fancy heritage style Hotel Sorrento before spending the remainder of our time at a lovely and very cosy Air BnB house in a suburb that was very leafy and just minutes from the city. – A one bedroom apartment in the middle of the city can cost you per month up to three times more than the same size apartment in Melbourne. Locals commented the reason rent was expensive was because of the influx of employees working in the tech industry which drove prices up over the past three years. – Seattle follows a strict recycling system which includes separate bins for everything such as food waste. – It was interesting to see that at an ordinary chemist you can find anything you need including hard boiled eggs that you can snack on that I saw in the fridge. Imagine walking into Chemist Warehouse and grabbing some hard boiled eggs to munch on during lunchtime! Founded in 1907 and made famous by the famous movie “Sleeping in Seattle” these markets are the oldest farmers market in America. The place was bustling with tourists who wanted to catch a glimpse of the various gourmet foods and entertainment this market had to offer. I also enjoyed checking out the section where locals could showcase and sell their arts and crafts. One stall that stood out was the Donut Cat stand. These guys nailed their market stand display, and their product was so different from anything I’d ever seen before – a mix of a stuffed cat toy made into a doughnut shape. 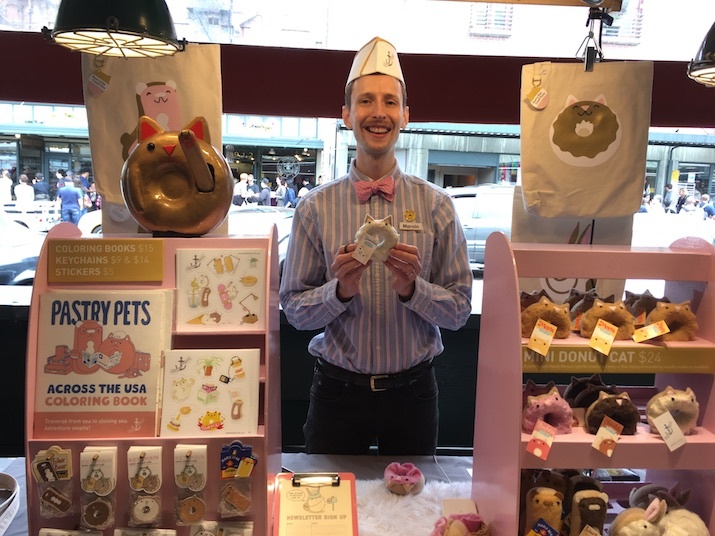 These guys nailed their market stand display, and their product was so different from anything I’d ever seen before – a mix of a stuffed cat toy made into a doughnut shape. 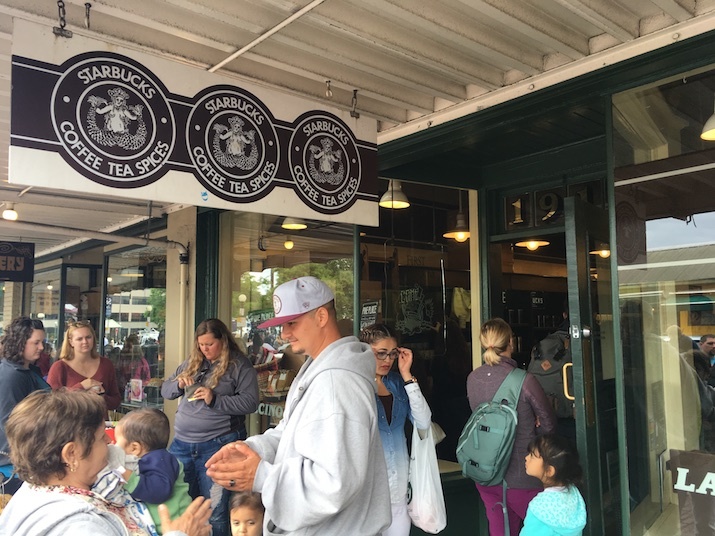 If you have time, make sure to take a walk past the first ever Starbucks coffeehouse. Founded in 1971, I was amazed to see how many people qued outside just to get a glimpse of the original interior. Also, don’t forget to check out the famously gross Gum Wall. 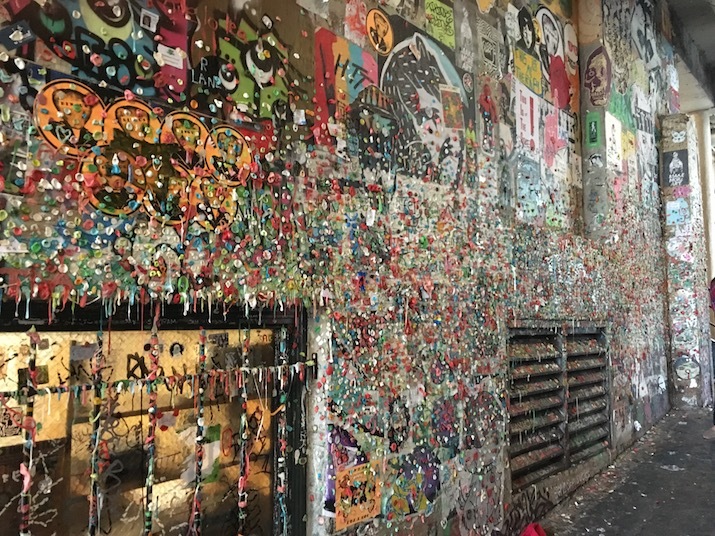 Who doesn’t want to see a wall covered in thousands of pieces of used chewing gum in all different colours? 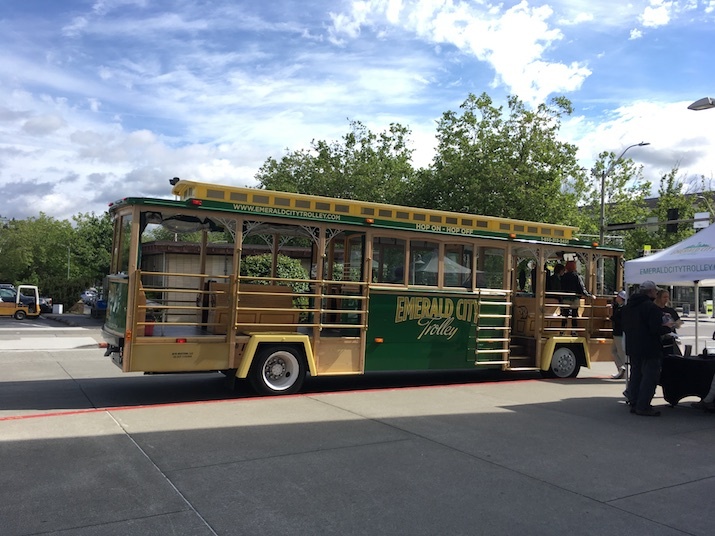 The lovely Emerald City tram cart takes tourists through downtown Seattle showing glimpses of some of the most popular places. The tour takes about 2 hours and includes 15 different stops. I totally recommend this because you get a fantastic insight from the highly knowledgeable driver who fills you in with all the beautiful and wacky facts about the history of Seattle. Be warned though, the seats are uncomfortable, so take a cardigan or something small to sit on because your backside is completely numb after the 2 hours. I just loved this underground tour, especially since I’m a sucker for history. 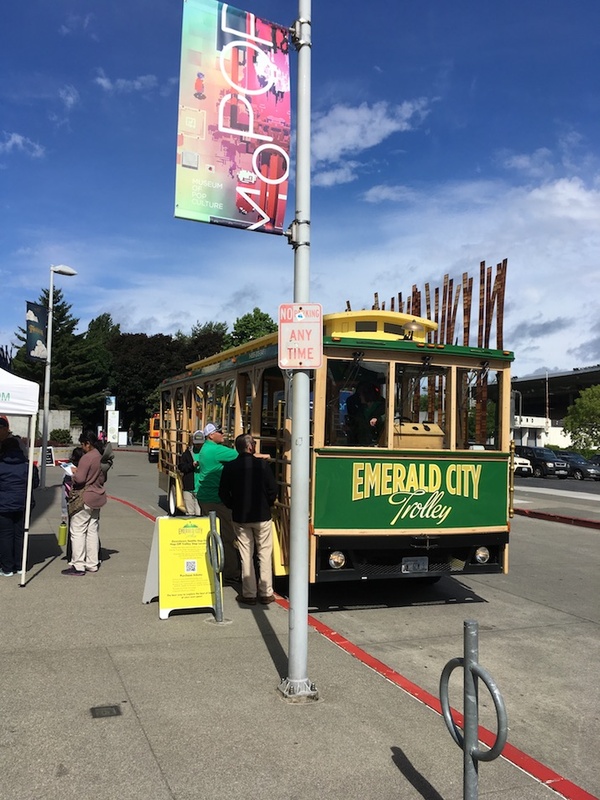 This underground tour is just that, a tour that takes you underground, under the streets of Seattle to explore the original streets of the city before an enormous fire burned it down, forcing the residents to rebuild ‘on top’ of old streets. It’s a fabulous tour and lasts around 2 hours – so make sure to wear comfy shoes.